Part 3: Stanford Hall of Fame golf coach Wally Goodwin on his 1993-94 national championship team, the team chemistry and recruiting Tiger Woods and other players. Will Yanigasawa, Casey Martin and Notah Begay are highlighted. 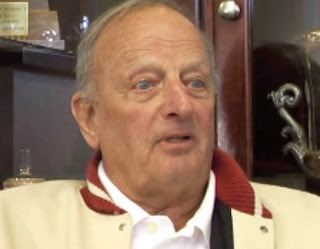 Part 4: Stanford Hall of Fame golf coach Wally Goodwin talks about Tiger and his relationship with Earl Woods, his most improved player ever, current coach Conrad Ray and 4-time All-American Joel Kribel.